Global warming could wreak havoc on the food chain by killing off ‘good bacteria’ in the stomachs of insects and other animals, a new study suggests. The researchers raised one type of insect – the southern green stinkbug – in an incubator kept 2.5 degrees Celsius warmer than the temperature outside. That is the average scientists expect the world to warm by 2100. They found this produced a significant reduction in the “good bacteria” in their guts, with which they have a beneficial symbiotic relationship. As a result, the young stinkbugs grew up to be smaller than normal and, at higher temperatures, none of them were able to reach sexual maturity, the researchers reported in the journal mBio. He added there might be many other such indirect effects to climate change in the natural world. “Coral breaching, in which symbiotic photosynthetic algae of corals are killed by high temperature and coral reefs are severely damaged, is regarded as a serious environmental issue, but plausibly, similar phenomena may be ubiquitously found in the ecosystem,” Professor Fukatsu said. 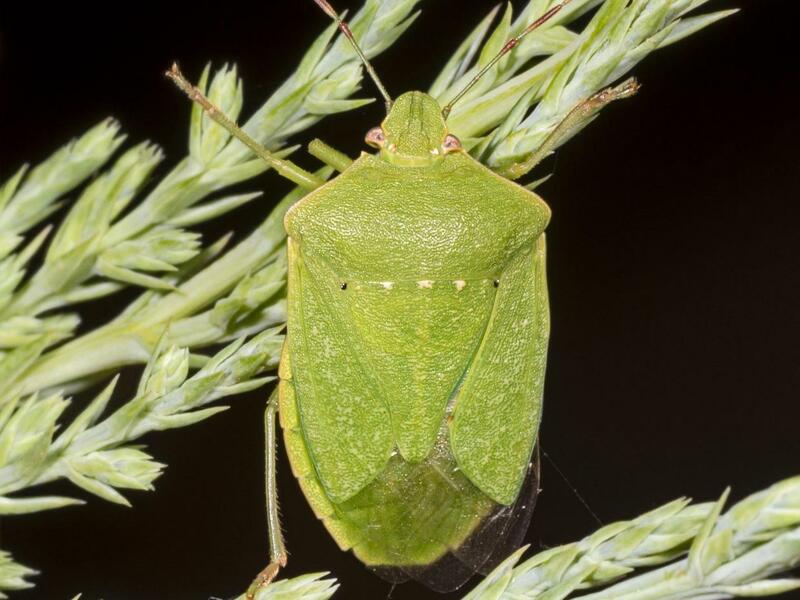 The southern green stinkbug is thought to have originated in Ethiopia, but is now found in tropical and sub-tropical areas of Europe, Asia, African and the Americas. It has expanded into Paraguay, Argentina and Brazil partly because of the increase in soybean plantations and also recently arrived in the UK. According to Florida University, it is recognised by its shield-like shape and “malodorous scent” and attacks “many important food crops”. While higher temperatures may be good news for gardeners and farmers in some parts of the world, it could essentially force the species to relocate further north. And it could also affect creatures, such as ants, which eat the stinkbugs.